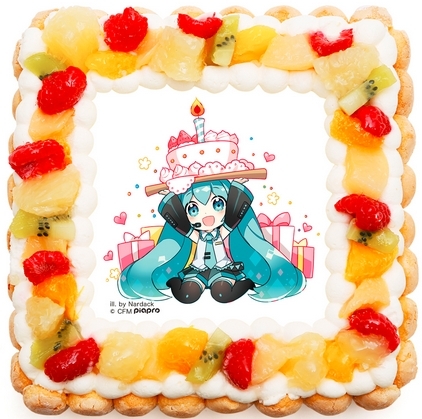 August 31 is Hatsune Miku’s birthday! 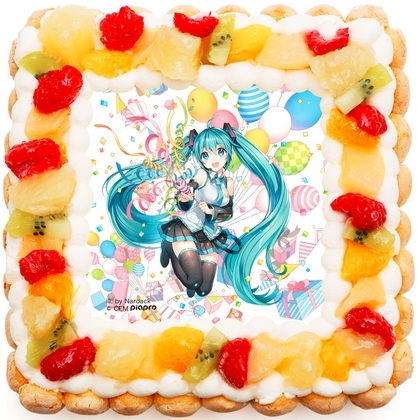 Let’s celebrate her birthday with a Hatsune Miku official cake! 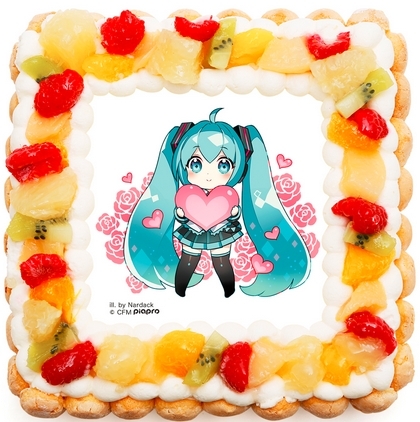 Not so much for our foreign readers, but if you happen to live in Japan AND you’re a huge fan of Hatsune Miku, then you shouldn’t miss out on this lovely Hatsune Miku birthday cake. The picture is drawn by popular painter Nardack. and handmade (well as opposed to being made my robots) by a pastry chef in Hokkaido. There are two types available; cream and chocolate and serves 5-10 people or two JWS staff members. 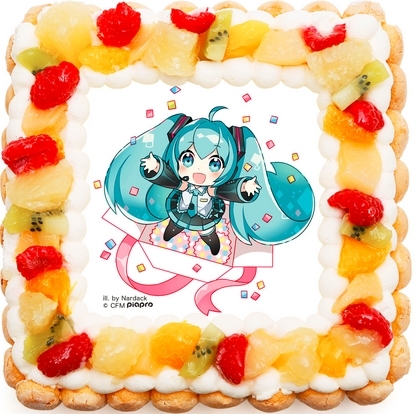 Or you can gather all your Hatsune Miku friends and order a double which serves up to 20 people! They can be ordered now, until the the 29th if you order before 17:30. They are not cheap, but we ordered the cream (we have to think of our waistline) and we will report about the taste asap!